Scuba diving is exciting, stimulating, peaceful, serene, and an adrenaline rush – all in one sport! You can do it in Tahiti; Iceland; Florida; Missouri; Indonesia; Bonaire; and many countless other places all over the world! Divers see bright colorful fish swarming a reef; sharks looming out of the blue; a seahorse the size of your smallest fingernail sitting on a a piece of coral in plain sight; or a Mola Mola that looks like four children drew a different part! FREE pool practices every Monday for all Open Water Diver students with one of our qualified instructors to get ready for your open water certification dives. Becoming a certified Open Water Diver is your first and most important step toward all your adventures to come. 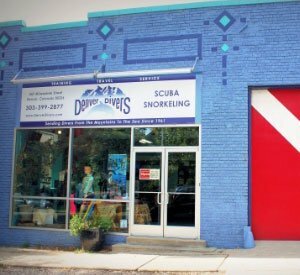 Denver Divers’ training philosophy is designed to insure your self-confidence and safety in the water through focused personalized instruction and repetition. We offer several training benefits that will insure you learn how to dive safely and comfortably, bringing you a lifetime of amazing diving! 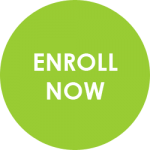 You can create a student record, select and register for an orientation, pay for your materials and/or class, and schedule your certification dives, all online using our Scuba Scheduler. Or call 303-399-2877 or stop by and pay for the class to reserve your spot. Upon registration, you will receive your online student materials and be asked to come in for a one hour orientation. Orientations are every Saturday from 10am-11:30am please call to confirm your spot. Custom orientations are available upon request. 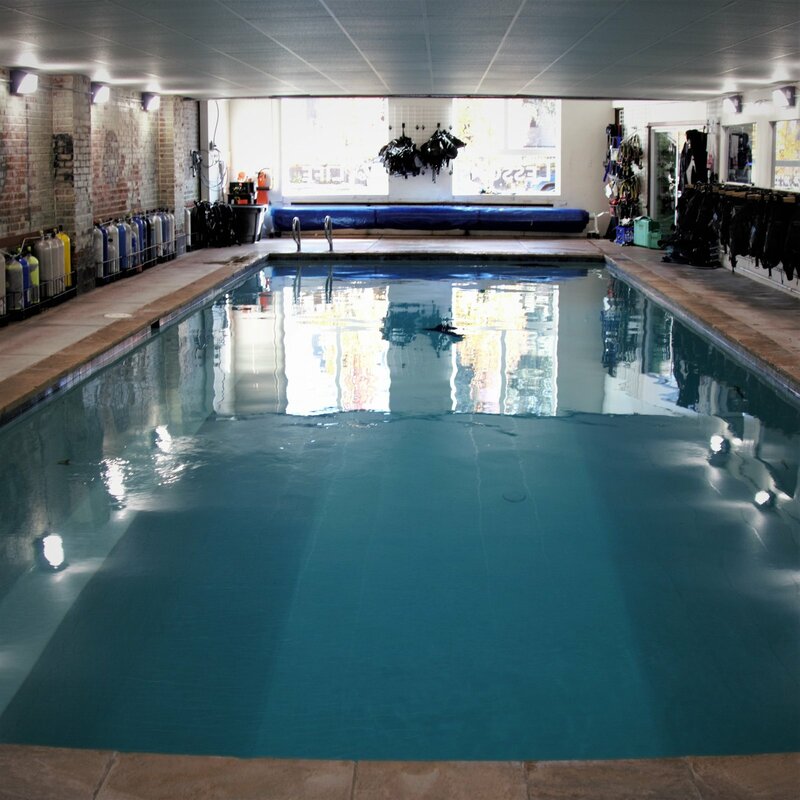 Regular Open Water Diver class and pool sessions are offered either over a weekend – Friday night (6-9pm), all day Saturday (9am-5pm) and all day Sunday (9am-5pm); or upon special request to fit your schedule with custom pricing. Once you have received the SSI link to access your online student materials, you are ready to begin your home study for class. By allowing you to complete your course work at home, you will be able to spend most of your time with us underwater. Please expect to devote approximately six to eight hours to this process. 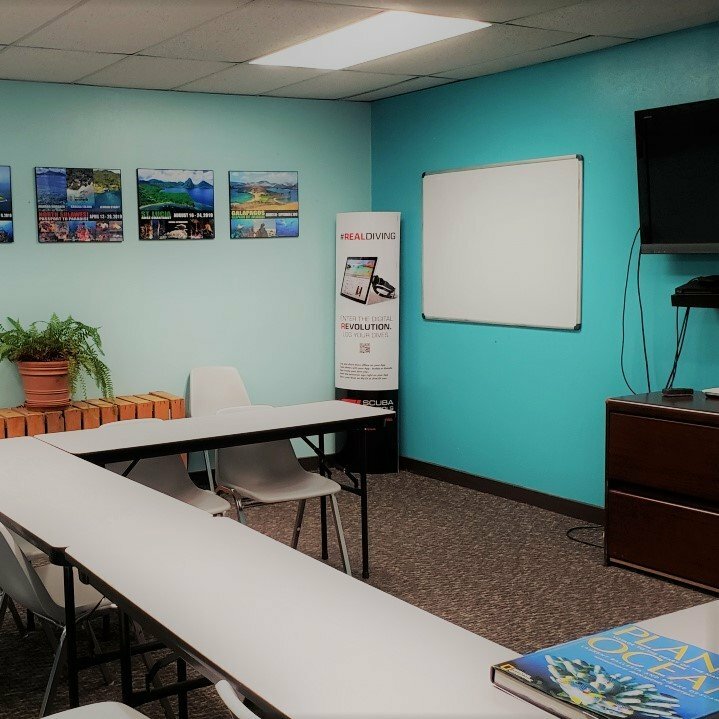 Your training includes an academic review in the classroom, as well as in-water skills development training in Denver Divers’ indoor, heated, salt water pool – our “ocean simulator”. Most of the time spent with our qualified instructors will be in the pool gaining the skills and confidence necessary for diving in the open water. At the end of your course you will take a 50-question certification exam. Please expect to devote approximately 16 hours to this process. In order to become certified, you will need to complete at least four open water certification dives under the direct supervision of a qualified instructor. Your instructor will evaluate your skills as you apply what you have learned during your academic and pool training to an open water environment. You will also learn practical lessons that can only be gained through real-world experience. What are my certification dive options? *Certification Dives not included in the cost above. We are here to help you succeed. Our Training Philosophy is embodied in the SSI platform, "Comfort Through Repetition". Our classes are built to give you the opportunity to learn at your own pace and practice your skills as much as possible. We want to make you a diver for life, so we look forward to having you join us on your journey to the underwater world. Remember, we offer FREE pool practices every Monday to our students during your certification process to make sure you get plenty of practice before your certification dives. 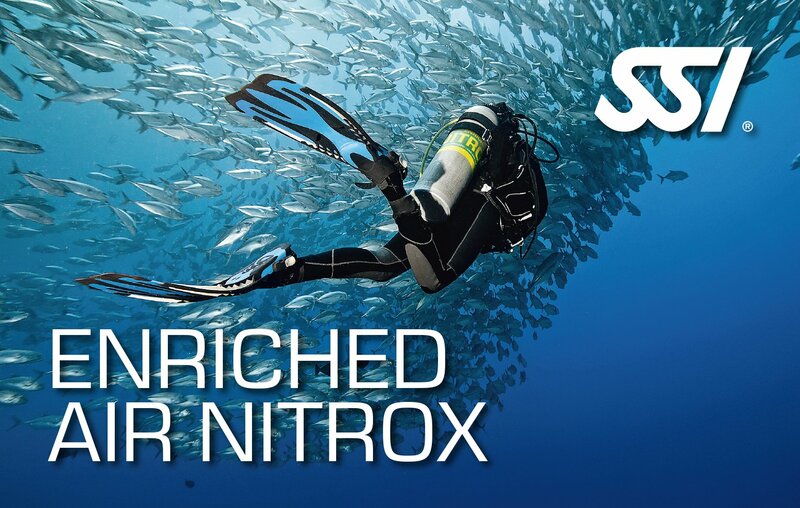 We believe the best next step to becoming a safe and confident diver is becoming certified as a Nitrox diver. Nitrox is a gas that contains a higher concentration of oxygen than the air we breathe. This allows the diver to stay down longer, and increase safety margins. Since we strongly believe in the use of Nitrox as a beneficial part of your diving career, we would like to encourage you to get certified for Nitrox during your Open Water Diver course. If you sign up for Nitrox at any point during your Open Water Diver certification process, you will receive $50 off the course!